Before this period, the science of legislation, which is the first and most important of all, had made but very little progress. Some cities of Italy and the provinces near the Pyrenees, where the Goths had encouraged the Roman laws, alone exhibited glimmerings of civilization. 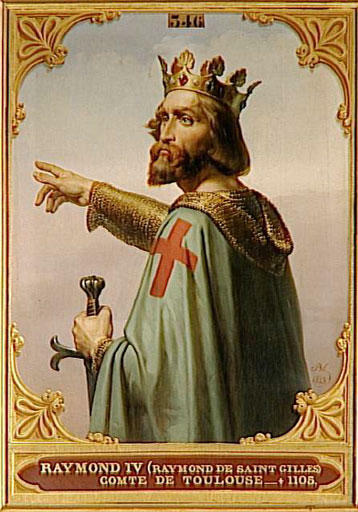 Among the rules and ordinances that Gaston de Béarn laid down before his departure for the Holy Land, are to be found many points and particulars which deserve to be preserved by history, because they exhibit the feeble beginnings of a legislation which time and fortunate circumstances would perfect. “Peace,” says the legislator of the eleventh century, “shall be observed at all times towards clerks, monks, travelers, and ladies and their suite.—If anyone takes refuge in the abode of a lady, he shall enjoy security of person, on paying all loss or consequent injury. Let the peasant live in peace; let his cattle and agricultural instruments be exempt from seizure.” These benevolent dispositions were inspired by the spirit of chivalry, which had made some progress in the wars against the Saracens of Spain; they were particularly the works of the councils which undertook to put a stop to private wars and the excess of feudal anarchy. The holy wars beyond the seas finished that which chivalry had begun, they perfected chivalry itself. The council of Clermont and the crusade that followed it only developed and consolidated all which preceding councils, all that the wisest lords and princes had done for the cause of humanity. Many of the princes of the crusades, such as the duke of Brittany and Robert, count of Flanders, signalized their return by establishing wise regulations. A few salutary institutions began to displace the violent abuses of feudalism, and there might be seen, at least in some provinces, what a regime founded by the sword could exhibit of a moderate kind in its legislation. It was in France that these changes were most obvious, because France had taken the greatest part in the crusade. 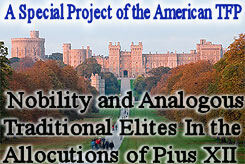 Many nobles emancipated their serfs upon their following them in this expedition. 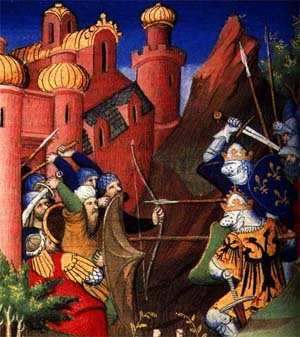 Giraud and Giraudet Adhemar de Monthile, who followed their brother, the bishop of Puy, to the holy war, to encourage and reward some of their vassals, by whom they were accompanied, granted them several fiefs by an act drawn up in the same year as the taking of Jerusalem. We might quote many similar acts made during the crusade and in the first year that followed it. Liberty awaited in the West the small number that returned from the holy war, who seemed to acknowledge no other master but Jesus Christ. In this crusade the nobility lost some portion of a power which they had abused, but they had more splendor and were held in greater honor…. After the first crusade, was seen that which is always to be observed in all nations that are progressing in civilization. Power had a tendency to centralize itself in the hands of him who protected liberty. Glory became the reward of all who were called upon to defend their country; consideration and riches took a direction towards that class from which intelligence was to be expected…. 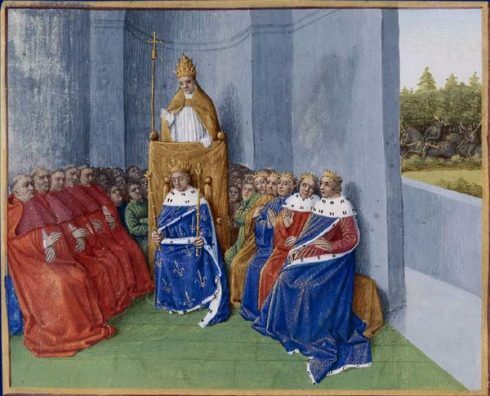 Pope Urban II preaching the First Crusade in the presence of Philip I, before the assembled bishops and princes. Many cities of Italy had arrived at a certain degree of civilization before the first crusade; but this civilization, born in the midst of a barbarous age, and spread amongst some isolated nations divided among themselves, had no power to attain maturity. For civilization to produce the salutary effects it is capable of, everything must at the same time, have a tendency to the same perfection. Knowledge, laws, morals, power, all must proceed together. This is what has happened in France; therefore must France one day become the model and center of civilization in Europe. 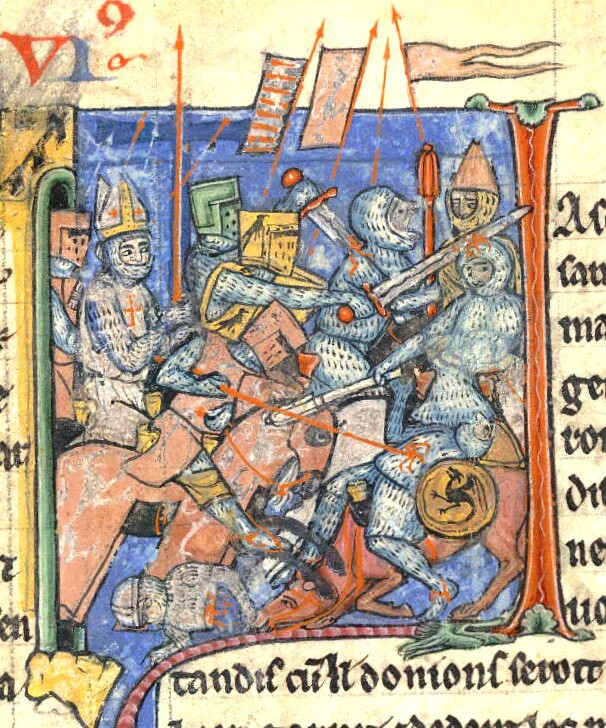 The holy wars contributed much to this happy revolution, which may be seen even in the first crusade. Joseph François Michaud, The History of the Crusades of the Crusades, trans. W. Robson (New York, Redfield, 1853), vol. I, 262-4.